Forex is hard, but it can be made easier with the right tools. Tools help save you time, and could end up putting money in your pocket. While your FX broker will provide you with a trading platform, he won't necessarily hand you a winning strategy on a silver plate. After all, if he had a profitable strategy that he could afford to give away for free, it probably wouldn't be worth anything or there wouldn't be an incentive to give it away. He would just use it to make money for himself. This is where third party companies come into the picture. FX training and education-based companies are everywhere, and do create helpful tools you can use to squeeze more money out of the market. A pip calculator helps you determine just how much profit potential there is in a trade. After all, you're in this for money, not to save the whales. A simple pip calculator will do the work that you otherwise would have to do manually, thus saving you precious time. In forex, time really is money so a calc like this could help you scrape more money from the market in a shorter period of time. When you want to calculate your own entry and exit points, use the pivot point calculator. When you fire up your broker's trading platform, you probably won't have a trading strategy built in and ready for you to use. You'll have to create your own entry and exit points for currencies you're trading. Normally, this would take some time. This calculator speeds up the process. The infamous Fibonacci method in forex lives, but calculating the retracement levels is a pain. Fortunately, this handy calculator does the heavy lifting for you. All you have to do is set your entry point and your retracement levels. Then, watch the market do its thing. With any luck, the Fibonacci calculator will help put some coin in your purse. The 4x Guardian tool a custom software program that protects you from dishonest brokers. It's a sad fact of reality, but they're out there. If you're not well-protected, you could be losing money. The tool alerts you of suspicious activity like re-quotes, price slippages, margin changes, Internet server disconnections, and broker server disconnects. The folks at 4xTrader have also come up with a few other nifty tools that streamline the trading process and helps you get more out of your current broker. There are a number of vital tools that are designed to help you identify potential profits in real time, and using these tools is pretty much essential if you are intending on creating an income stream of profitable trades. FXStreet has a range of forex charting tools to assist traders and MahiFX also have a comprehensive range of Fibonnaci and pivot point calculators within their applications. 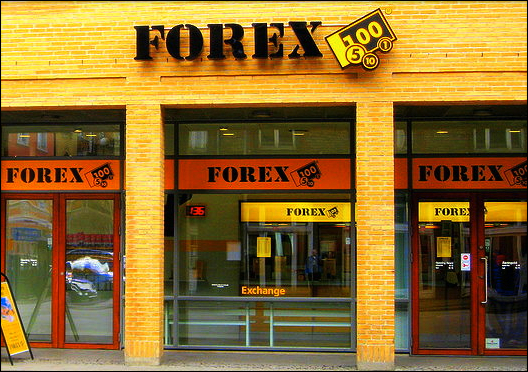 While tools are understandably important, you still need a firm grounding in forex basics. Even with something like Shuriken, you'll need to be familiar with your broker's platform, how to set up the software, and how to cash out your trades. That doesn't diminish the effectiveness or usefulness of these tools. It just means that you can come close to FX automation, but you'll still have to put in some manual work when you're getting started. About the author: Guest post contributed by Stacy Pruitt, a freelance forex strategy and finance writer. Stacy writes about advanced trading and forex indicators. Her articles appear on various investment blogs.